Way back in 1987 Harry Jaffa commented that “Whether you want to belong to the human race is now a matter of personal preference.” He meant this chiefly in a metaphysical sense, but it appears you can now declare yourself to be a dragon if you want, and get the body and fender work to get the physical fit, too. 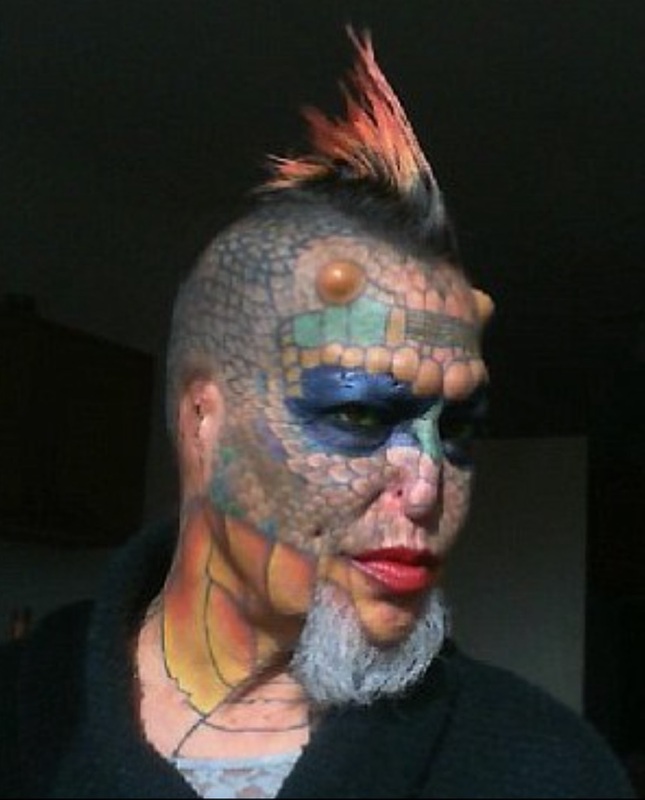 A transgender former banker claims to be the first and only person to have both ears cosmetically removed as part of her ongoing quest to become a ‘dragon’. Born Richard Hernandez in Maricopa County, Arizona, the 55-year-old has undergone a number of painful procedures over the past few years including nose modification, tooth extraction and eye colouring. She also has a forked tongue and a full-face tattoo as part of her transformation into a ‘mythical beast’. Now I know what you’re thinking: Do dragons use bathrooms?